To become a CNA you need to have 75 hours of training approved by the state, along with passing an examination of your competency. Clinical skill and conceptual knowledge is tested in the form of a practical section and a multiple-choice section. To prepare you should utilize textbooks, practice books and practice tests found easily online and through various local retailers. You need to prove that you have core skill competency and professionalism. This assures all types of medical facilities that you can meet their needs properly. The CNA test is standardized and provides this needed proof; once you pass this test you can work in any facility that employs CNAs. Some questions on this test focus on your empathy and intuition as a nursing assistant, the correctness of the answer not black and white but based more on a certain degree of preferred correctness. This is essentially a personality test built within the CNA test. The practical section of your CNA test focuses on your ability to implement on-the-job skills such as personal care, use of restorative devices, mental health needs and general nursing skills. ● Personal Care: Grooming and bathing patients is a big part of being a CNA, and as a result you will likely be tested heavily on this material during your CNA exam. ● Use of Restorative Devices: If you can not use mobility aids and help others with them, you’re not very valuable as a certified nursing assistant. Prostheses, crutches, walkers and other devices improve the quality of life of a patient. You will also need to know how to use urinary training and control fixers, as well as those related to bowel movements. ● Mental Health Needs: You need to be able to help every aspect of a patient, including their mental health. Interacting properly with psychosocial disabilities, dementia and schizophrenia, for example, is essential. 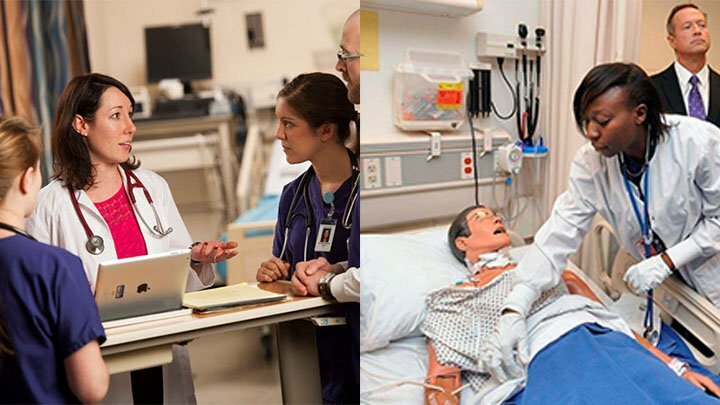 ● General Nursing Skills: Of course you must master general nursing skills in order to be a successful CNA, including recognizing symptoms and maintaining a clean environment.